Quick-tempered Bennet Rourke dislikes Darius Lanniker on sight. Darius may be a hotshot city lawyer, but that doesn’t give him the right to sneer at Bennet, his friends, and their college. It doesn’t help that Bennet’s restaurant job has him waiting at Darius’s table. So when his tutor recommends him for an internship at Darius’s Pemberley estate, Bennet isn’t sure he wants it. He’s also not sure he can afford to turn it down. Darius is a fish out of water in the small college town of Meriton, but something keeps pulling him back there. He’s helping out a friend with business advice, nothing more. If he’s interested in Bennet, it’s not serious. Sure, Bennet challenges him in a way no other man has. But they have nothing in common. Right? Wrong. Their best friends are falling in love, and Bennet and Darius can’t seem to escape each other. Soon they’re sharing climbing ropes and birthday cake, and there’s a spark between them that won’t be denied. But betrayal is around the corner. Darius must swallow his pride and Bennet must drop his prejudices to see the rainbow shining through the storm clouds. A modern retelling of Jane Austen’s Pride and Prejudice. I’m a huge fan of Jane Austen and in general of that era literature. Pride and Prejudice is one of my all the time fave books. I saw and read everything related to the novel. More or less I liked them all. That’s why of course I had to read this new release by Megan Reddaway, a new to me author. I thought I could enjoy the story but I wasn’t expecting to love it so much. It was a lovely surprise. I’m not going to focus my review on the plot cause the blurb tells you what you have to know and well, since it’s about Pride and Prejudice, you know what to expect. That said, the book is really well done, written so well my reading flew easily, and to me, being English is not my first language, this happens only when the writing is great. The greatest surprise were the characters, apart from the fact I adore coral stories like this one, when there are quite a few characters to meet and love, the author did a good job and she let me know a little about all the second characters, some of them I loved, others I despised as I did in the original novel. Some true gems like Giorgio and Jamie caught my heart deeply with their pureness. And then Bennet and Darius with their parts followed the enemies to lovers trope and made my heart beating like Elizabeth and Darcy always do. 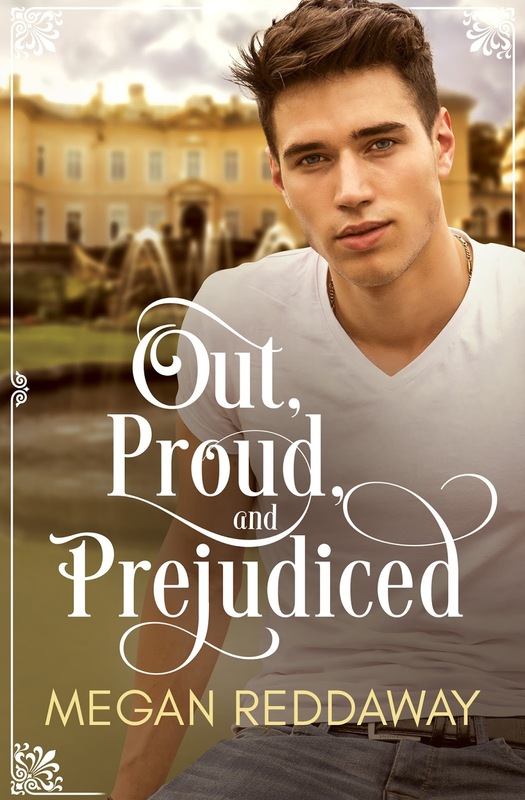 I want to highly recommend Out, Pride and Prejudiced, it’s not just a simple retelling, through all the reading I felt connected to Jane Austen’s work, I could find all the elements I needed and everything was just right and fitting. I loved it. The cover art by Natasha Snow is not a favorite of mine among the artist works, it is nothing special and in my mind is doesn’t fit the story, I don’t know why. This entry was posted in Book Reviews, Books, Contemporary fiction, eBooks, LGBTQ Book Reviews, M/M Book Reviews, M/M Contemporary Fiction, M/M Fiction, M/M Romance, Self Published, Uncategorized and tagged A Stella Highly Recommended Novel, A Stella Review: Out Proud and Prejudiced by Megan Reddaway, author Megan Reddaway, Out Proud and Prejudiced by Megan Reddaway, retelling of Pride and Prejudice. Wrong. Their best friends are falling in love, and Bennet and Darius can’t seem to escape each other. Soon they’re sharing climbing ropes and birthday cake, and there’s a spark between them that won’t be denied. But betrayal is around the corner. 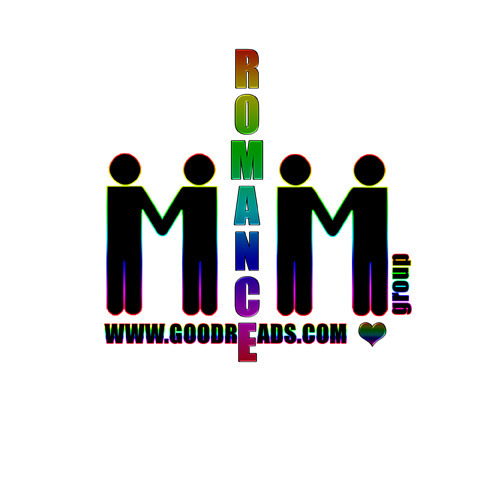 Darius must swallow his pride and Bennet must drop his prejudices to see the rainbow shining through the storm clouds. A standalone novel—a modern retelling of Jane Austen’s Pride and Prejudice. Note: contains mention of past abuse. MEGAN REDDAWAY lives in England and has been entertained by fictional characters acting out their stories in her head for as long as she can remember. She began writing them down as soon as she could. Since she grew up, she has worked as a secretary, driver, barperson, and article writer, among other things. Whatever she is doing, she always has a story bubbling away at the same time. This entry was posted in Book Giveaways, Book Reviews, Book Tours and Contests, Books, Contemporary fiction, eBooks, LGBTQ Book Reviews, M/M Book Reviews, M/M Contemporary Fiction, M/M Fiction, M/M Romance, Uncategorized and tagged @meganreddaway1 #newbookrelease #OutProudandPrejudiced #giveaway, author Megan Reddaway, meganreddaway1, Out Proud and Prejudiced by Megan Reddaway, Signal Boost Promotions.